My interview is featured at photography magazine"PHOTOSAI"2019 spring edition. NHK TV ocal news about my exhibition at Miidera-temple on aired today. My exhibition"TUKUROHI" and my interview is featured at Kyoto News Pater. I was appeared in FM-Ootsu radio proglam "Lunch time Ootsu"
My exhibition "TUKUROHI" and my interview is featured at Mainichi News Paper. My exhibition "TUKUROHI" is featured at Asahi News Paper. My photo book "Poet Island" has been selected one of ten photo books of the year exhibition at OBSCURA Festival of Photography 2018 in Penangisland Malaysia. I did some slide talk and so on. B1.B2 sized postersandA4 sized flyersfor my upcoming exhibition "TUKUROHI"are ready now. Happy to announce that there will be my photo exhibition "tukurohi" at 三井寺 Miidera-temple in this autumn. Here isthe webpagefor the show. My latest photo book "SEMIMARU" is participating photo book exhibition of Athens Photo Festival 2018 at Benaki Museum, 6th June - 29th July. My interview about SEMIMARU is featured at"Japan Photo Almanac 2018"
My latest photobook "SEMIMARU" will be shown at"J Book Show"in Cork, Ireland on Saturday 14th and Sunday 15th of April 2018. The show is part of the Cork Photo Festival. My early series "NANGOKUSHO" will participateReclaim Photography Festival 2018in Wolverhampton U.K. from 4th to 30th May. Festival themeis "Reclaim our future". Have launchedASPHALT archival web sitewhich you can see all contents of photography magazine "ASPHALT". You can see my photo exhibition at in)(between art gallery Paris with this link. My latest photo book "SEMIMARU" is featured with Aya Fujioka's book at Japan Professional Photographers Society bulletin 2017　October issuebyphoto editor Mr.Kazunori Kohno. "SEMIMARU" is featured at NIPPON CAMERA Magazine November issue which is out today on gravure 7 pages. My solo exhibitionstarts today atin)(between art galleryin Paris. till 28th October. Book signing and reception is 20th from 6pm. My exhibition"SEMIMARU" at Gallery722in Okayama is till 30th September. I'll be there on 23rd and 24th. If you're in town, please drop by. My interviewin Kyoto News Paper on 15th September. Book review of SEMIMARUis on 27th August Kyoto News Paper Sunday book review. There is my solo exhibition at in)(between art gallery in Paris from 12th to 28th October 2017. The details will be announced later. One image from "Poet Island" will be shown at Autumn Exhibition of Reclaim Photography Festival 2017 in Wolverhampton UK. There is my photo exhibition "SEMIMARU" at Gallery722 from 1st to 30th September 2017. 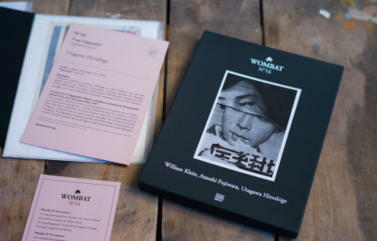 Wonderful review of my new book "SEMIMARU"by German art historian Jan-Frederik Rust is releaseed. Photo exhibition "SEMIMARU" has started todai at SOKYUSHA. Untill 9th July. My 4th photo book"SEMIMARU"is released today. I'll participate "I Book Show+"on 5th May in Brighton in UK with "POET ISLAND". 2017 with series from my resent photo book "POET ISLAND". exhibition in France in 2016. "FLASH ! "from Paris. POET ISLAND is from page 54.
from 2nd June to 2nd July 2016. This festival is curated by Mr.Andrey Martynov. I'm participating a group photo exhibition atin)(between galleryParis from 21st Jan. to 5th March. My photobook "Butterfly had a dream" is now featured byTRETERZI 3/3from Rome. Photo book "POET ISLAND" is featured by EMAHO Magazine from India. Photo exhibition "Poet Island" is now at Gallery SOKYUSHA in Tokyo Japan. 2nd to 15th November. The review of "POET ISLAND" byThe New Frame. Photo exhibition "Poet Island" is now atGallery 722in Okayama Japan. 1st October to 29th October. Slide show of my photo book "NANGOKUSHO" will be shown at "Just Another Photo Festival" in New Delhi India from 25th to 30th September. POET ISLAND is now available for sale at "PhotoBookStore" in U.K..
Photobook "NANGOKUSHO" and "Butterfly had a dream" are shown atAthens Photo Festivalat Benaki Museum an Greece. There is "POET ISLAND" on photography journal ASAHI CAMERA July issue at Special Feature Photography. Review of book launch photo exhibition "POET ISLAND" is posted atZen Foto Blog. "POET ISLAND" is now available at "Tipi Book Shop" in Belgium. "POET ISLAND" is now available for sale at "Photo Book Corner" in Portugal. Review of "POET ISLAND"by Berlin based art historian Jan-Frederik Rust. The review of my photo exhibition "POET ISLAND" is now on ARTSCAPE. "POET ISLAND" is posted byChrister EK. "POET ISLAND" is posted by Gabriela Cendoya. "POET ISLAND" is posted byVirtual Bookshelf JC. "POET ISLAND" is now available at in)(between art gallery in Paris. My new photo book "POT ISLAND" has launched. The image from Butterfly had a dream has been selected for one of 30 finalits of1st Photography award of Photobook Melbourne. 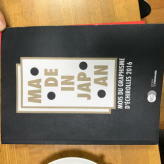 10X10 Japanese Photobooks is now on sale atSOKYUSHA. There are the last essay by Akira Hasegawa and my interview and so on. 東京ADC年鑑２０１４に「蝶の見た夢」が掲載されました。Butterfly had a dream is on TOKYO ADC ANNUAL 2013. "Butterfly had a dream" will be shown atH Book Showat Doomed Gallery in London on 14th & 15th November. My works will be shown atTANTOTEMPO gallery booth in Photo Off from 13th to 16th November 2014. 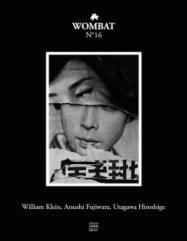 The group show "Japanese Eyes" will be held at in)(between gallery Paris from 1st to 15th November 2014. "Butterfly had a dream" is now featured at "The New Frame" curated by Eric Gunderson. My interview at French web site "Hold Up Photo". 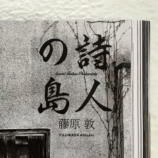 Atsushi Fujiwara photo exhibition "NANGOKUSHO"&"Butterfly had a dream"
28th June to 8th August 2014. Artist talk 19th July 2014. 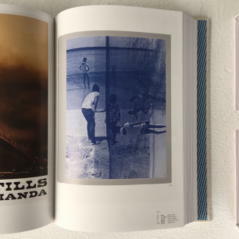 New article by ICP NY, "10 X 10 photobooks"
"Butterfly had a dream" is now on sale at ANZENBERGER Gallery in Austria. "Butterfly had a dream" is now on sale at　DISPARA TIENDA　in Spain. Butterfly had a dream is now on sale at "bookdummypress" in NY. Berlin based art historian Mr.Jan-Frederik Rust introduces "Butterfly had a dream" atFaraway Eyes. New photo book "Butterfly had a dream" is out now. Details will be add atPublicationspage later. "NANGOKUSHO" is now on sale atSha Sha Sha. "ASPHALT 6th to 10th" are now on sale atSha Sha Sha. "NANGOKUSHO" is selected and will participate "G Book Show-Photobookshow" in Brighton U.K..
My latest photobook will participate a photobook exhibition "BINDING IMAGE" in Amsterdam. 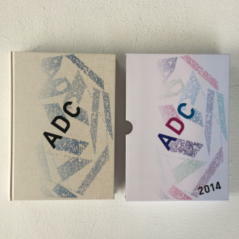 東京ADC年鑑２０１３に「南国頌」が掲載されました。NANGOKUSHO is on TOKYO ADC ANNUAL 2013. You can see Fotobookfestival, Kassel 2013 with this link. NANGOKUSHO is now available atThe Library Projectin Ireland. photo event in the evening 8th October in Paris. There is book reviewof NANGOKUSHO at photo website in Australia "The New Frame". 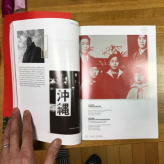 There is book reviewof NANGOKUSHO at photo website in U.S. "photo-eye"
"NANGOKUSHO" is now featured by Australian photo web site "The Asia-Pacific Photobook Archive"